The first day of Steelers 2018 training camp came with some good news, as wide receiver Eli Rogers signed a 1 year contract with the Steelers, putting to rest any doubts over whether or where the free agent would play in 2018. Eli Rogers did enough to impress coaches during his rookie training camp in 2015 for the Steelers to keep him on injured reserve. In 2016 he seemingly came out of nowhere to claim the starting slot wide receiver role. In 2017, Eli Rogers’ playing time took a hit thanks to the return of Martavis Bryant and the arrival of JuJu Smith-Schuster. At times during 2017, Rogers struggled to recapture his rookie year consistency, but during the Steelers playoff loss to the Jaguars, Eli Rogers caught all five passes that Ben Roethlisberger threw his way, and could have been considered as one of the game’s unsung heros. 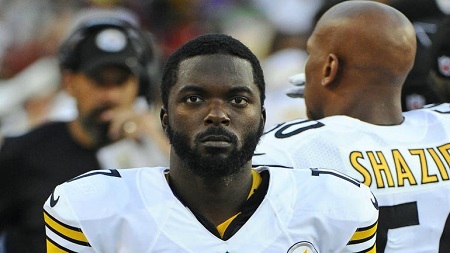 Unfortunately, late in the game Eli Rogers tore his ACL, prompting Pittsburgh not to offer him a restricted free agent tender. That left Eli Rogers free to sign with any team. Per press reports, Rogers had workouts with the Kansas City Chiefs and Cleveland Browns. Whether Rogers was simply doing his due diligence or whether this was a move by his agent to spur the Steelers to sign him, having him back in Pittsburgh is a positive. The Steelers resigning of Eli Rogers might appear to be little more than a “Nice to have,” type of action for Randy Fichtner and the offensive staff. After all, Eli Rogers only had 18 catches last year, or 30 less than his rookie year, scored no touchdowns, and only caught 50% of the balls thrown his way. But Eli Rogers provides invaluable depth at wide receiver for the Steelers. Two summers ago, even when accounting for Martavis Bryant’s suspension, the Steelers wide receiver depth chart appeared to be flush. Yet Marcus Wheaton got injured in preseason, Sammie Coates development sputtered, Darrius Heyward-Bey tantalized was named starter then got hurt. That left Eli Rogers, starting opposite Antonio Brown, while Cobi Hamilton and Demarcus Ayers were functionally the number 3 and 4 wide outs. This year 2nd round pick James Washington is expected compete for the number 3 wide out role, but even if he earns that job, the Steelers have no proven depth behind him, save for Rogers. This entry was posted in Steelers 2018 Off Season, Steelers 2018 Training Camp and tagged Antonio Brown, Ben Roethlisberger, Cobi Hamilton, Darrius Heyward-Bey, Demarcus Ayers, James Washington, JuJu Smith-Schuster, Markus Wheaton, Pittsburgh Steelers, Randy Fichtner, Sammie Coates, Steelers wide receivers. Bookmark the permalink.